GearBrain takes a deep dive into Amazon Echo Dot, an AI Digital Assistant with Alexa Voice Services for the smart home. The setup for Amazon Echo Dot is the same as the Amazon Echo—easy and straightforward. You just need a smartphone with Bluetooth connection as well as Wi-Fi. The Amazon Echo Dot comes with Dot (2nd generation), a power adapter (9W) and a USB charging cable. You just plug in the Echo Dot, download the Amazon Alexa app and you are ready to go. The Echo Dot is compatible with Fire OS, iOS, Android and desktop browsers. Just follow the instructions on the app to set your Echo Dot up with your Wi-Fi and any other devices or services. There is not much difference between Amazon Echo and Echo Dot. Both are hands-free digital assistants with far field voice control and AI. They both play music, control smart home devices, provide information, read the news, set alarms and more. Both have 7 far-filed microphones that work in noisy environments or while music is playing. Where they differ is the Amazon Echo Dot doesn't come with a big speaker like the Echo. For some consumers, this is a plus. It's also one of the reasons why Echo Dot is only $49.99 and the Echo is $179.99. Amazon Echo Dot's speaker is small (3.5 mm stereo audio output) and doesn't have nearly the sound quality you find with Echo's built-in speaker. You can use the Echo Dot's speakers to listen to music but we would recommend pairing the Echo Dot to a Bluetooth speaker. Music will sound so much better. Also, good Bluetooth Speakers cost between $60 and $100. Your total investment in Echo Dot and Bluetooth speaker will still be considerably less than buying an Echo. Amazon Echo Dot is powered by Alexa Voice Service, a cloud-based service that powers Alexa-enabled products. Alexa is the brain for Echo Dot and is always getting smarter. Using AI and new features being added each day, Alexa adapts to your speech patterns, vocabulary and personal preferences. For instance, over time Alexa learns what type of music you like to listen to through its system. 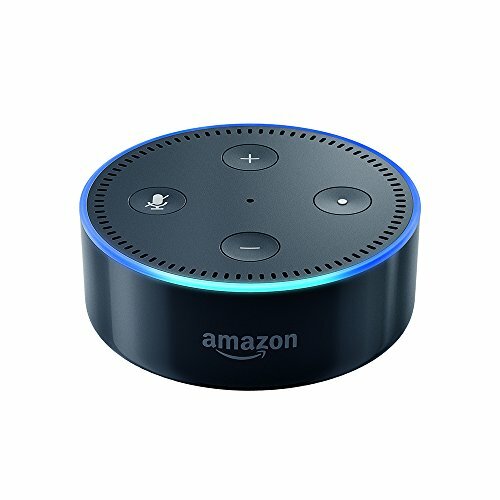 Amazon Echo Dot connects to most popular online music sites: music, Pandora, tunein, iHeartRadio or Spotify. You can search for music by lyrics, artist, song, album or let Alexa pick one for you. However, you need to know that to connect with many of these online music services through Echo Dot or Echo, you might be required to be a subscriber of their premium services. Amazon offers you a couple of music plans through their Amazon Music Unlimited service but there is a fee. If you are an Amazon Prime member, no worries. By purchasing an Echo or Echo Dot, you will get free access to Amazon's Prime Music. This service offers you access to over two million songs on an ad-free on-demand basis. If you want more music, you can upgrade into Amazon Music Unlimited Echo Plan which will give you access to tens of millions songs for only $3.99 per month. This plan also is only for one Amazon Echo, Echo Dot or Tap. To play your music on your Bluetooth speaker, you will need to pair the device with the Dot using Amazon Alexa's app. Just go to the Settings and select Bluetooth. You will see a button to pair your speakers. It takes only seconds and once you are paired, Alexa will now send your music through the speaker. You can stream Amazon Music on up to six different devices or speakers. 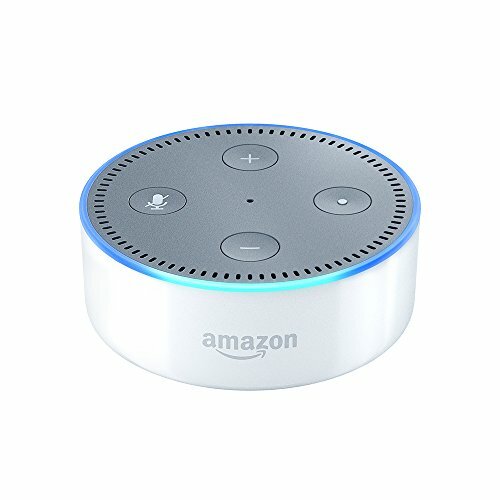 Besides music, you can use Echo Dot as a smart alarm clock, a digital assistant in the kitchen and as a voice controlled computer in your home or office. Amazon Echo Dot comes in black or white and is only available on Amazon's web site. However, you can customize your Echo Dot with special case. Amazon offers a variety of leather or fabric cases in multiple colors. Click here to learn more about customized Echo Dot cases. Just like Amazon Echo, Echo Dot allows you to control your smart home devices with your voice. Depending what devices, like your lights, switches, locks, thermostats or hubs you have in your smart home, Echo Dot can work with all compatible devices. You just need to use the Alexa app to either enable the skill or connect to your smart home devices. We liked the fact Echo and Echo Dot were compatible with WeMo, Samsung SmartThings, Philips Hue, Insteon, Nest, Tp-Link and ecobee. We expect more devices to become Alexa-enabled this year. 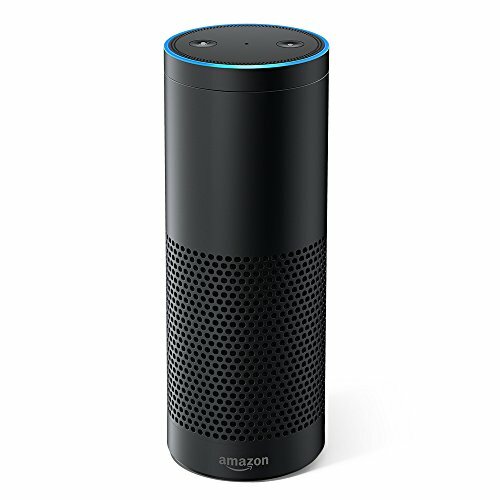 Click here for a list of smart home devices that are compatible today with Amazon Echo Dot. GearBrain is a big fan of voice-enabled digital assistants with AI. These devices are driving smart home adoption for consumers and helping millions simplify the changeover to a new connected life. Amazon Echo Dot is an affordable AI digital assistant that offers a low-cost barrier for entry into the smart home market. We highly recommend Echo Dot and suggest you purchase a Bluetooth speaker (if you don't already own one) to start learning how to create your own personalized connected life. In addition, if you already own an Amazon Echo and want to have Alexa always in listening distance, then you should consider Echo Dot. It could be used as a Wi-Fi extender but for voice. Amazon offers special deals on multi-packs of Echo Dot. GearBrain predicts smart homes of the future will have their own operating system, that are voiced-controlled. If you have seen the movie "Iron Man," Tony Starck house had its own OS, controlled by Jarvis. Amazon is helping us move in this direction with Amazon Echo, Echo Dot and Alexa. But, we think the next steps will be having a voice that you can personalize that controls your smart home.